Quirky beauty products have been popping up all over the net, and we’re obsessed. We love how these brands levelled up their beauty products through branding and packaging. Plus, it doesn’t hurt that they’re useful products too! The 90’s inspired beauty product trend is on a roll, as embodied by this new line of Sailor Moon lipsticks. Japanese beauty company, Creer Beaute are making us fangirl over the Moisture Rouge line of lippies inspired by anime characters Sailor Moon, Sailor Venus, Sailor Mercury, Sailor Mars, and Sailor Jupiter. You’re going to turn heads by daylight and break hearts by moonlight with these lipsticks! Cat ladies, you need these right meow! 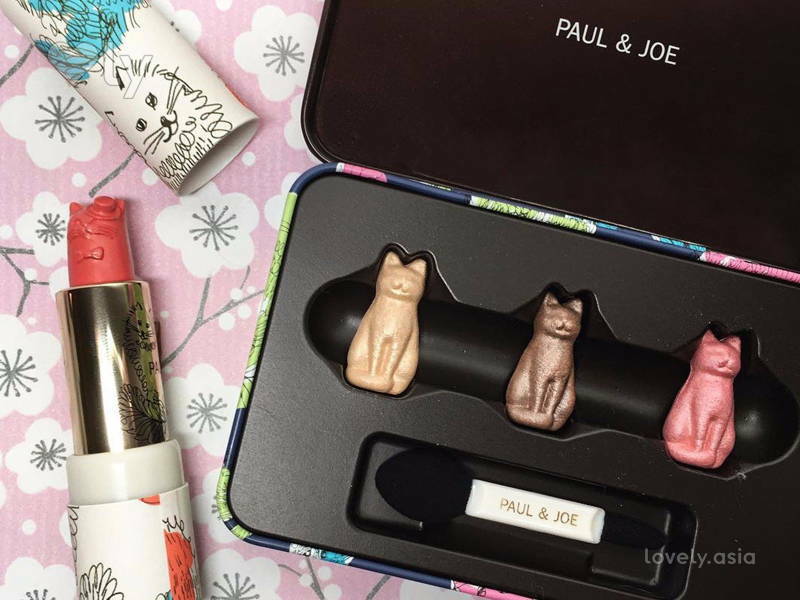 Creative beauty brand Paul & Joe have introduced a cat themed makeup vault and honestly we have cat eyes for them. They’re so undeniably adorable you may never want to use them! Thanks to Ariel, most of us have dream about being a mermaid. The Mermaid Salon is about to make your dreams come true! From fish tail makeup brushes to seashell makeup pouches and deep sea inspired lippies, the entire store is dedicated to that mermaid fantasy. Your love for the mythical universe is about to get bigger. FCTRY introduced Unicorn Snot Lip Gloss to the world and the beauty industry is clamoring for it. With cosmetic glitter and a mineral oil base, this Unicorn Snot is the cotton-candy scented lip gloss of your tween dreams! With colours like pink, silver, gold, purple and blue, this gloss is too good not to be on your wish list!